Earrings are a beautiful addition to any outfit — you can glam up jeans, add something sophisticated to your little black dress, or be as subtle and dainty as you wish. But where to start? Don't worry — we've curated a list of beginner-friendly earrings tutorials, plus some helpful tips on how to make earrings — most of which can be completed in less than an hour! 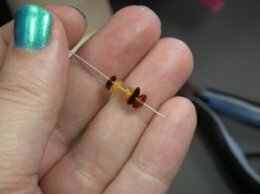 Many of the available tutorials for for how to make earrings are for the beaded variety, which don't fit my basic beginner criteria of being "fast and simple, " so I won't be pointing many of these out. Instead, I gravitate toward wire. 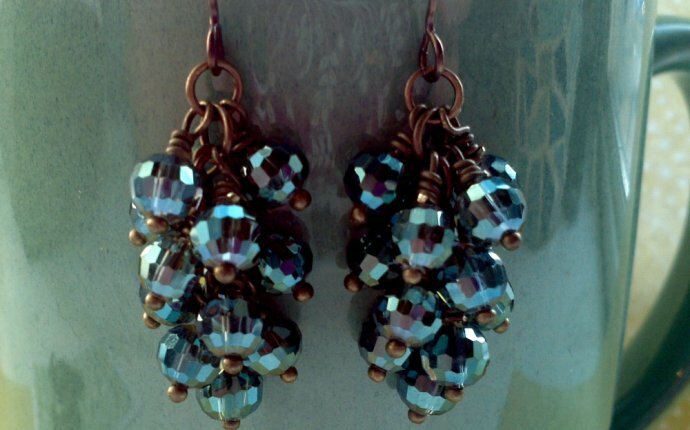 Wire seems like a natural medium for earrings, since the part that goes through your ear is usually wire. 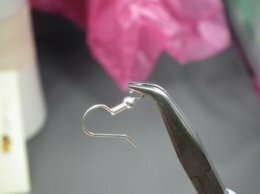 The easiest way to make a pair of earrings is to take a head pin, add some beads, create a loop at the top and add ear wires. 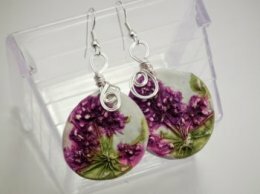 You can also wire almost anything up into a dangle - such as these polymer clay discs with a hole drilled in the top and attach an ear wire. 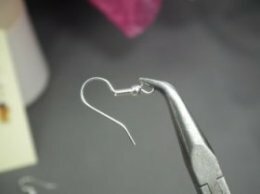 The biggest thing you need to remember when making earrings is to open ear wire loops sideways - never pull a loop open like it's a mouth or a jaw, but instead twist it to the side. Look out for patterns and tutorials that include this kind of information, especially if you're a newbie to working with wire. Recently I've been exploring how to make earrings and other jewelry using glue. You can glue, well, anything (buttons, bottle caps, pearls, feathers, polymer clay sculptures, beads, to name a few) to a pair of stud blanks and they're done in the length of time it takes for glue to dry (I recommend e6000 for MOST jobs, which does take a whole day to dry strong). Merely add a few drops of glue to the back of each item and gently press them together. 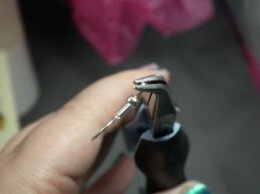 Use some gentle spring clamps to hold the earrings overnight. After a day, remove the clamps, and voila! Simple, beautiful little earrings. 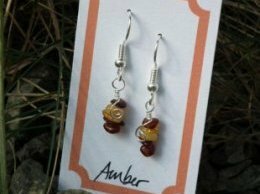 The best part about making your own earrings is that you can get really, really complicated, or stay totally simple, or find any combination in between. Just have fun! 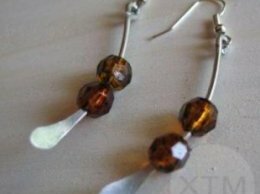 - How to make long earrings?